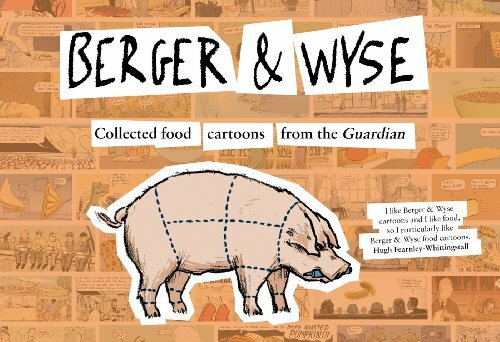 Each size is a limited edition of 10 – numbered, dated and signed 'Berger & Wyse' in pencil by the illustrator. The prints are on superb quality 310gsm matte paper, printed with archival inks. The price includes first-class delivery; A4 prints are mailed flat, A3 in a roll, tissue protected. All orders are dispatched on a weekly basis. Please be aware that the actual image itself is not A4/A3; the actual size of the image differs depending on the proportions of the original cartoon. For example, with the letterbox-shaped cartoons (illustrated above), on the A4 print the image is approximately 20cm x 8.5cm, on A3 the image is approximately 28cm x 12cm. For the more recent, portrait-oriented cartoons, on the A4 print the image is approximately 12cm x 11cm; on A3 the size is approximately 18cm x 15cm. If you wish to purchase a print, please email us using the form below, including a brief description of the cartoon you would like, and whether you would like A4 or A3. We will then contact you to confirm your order and arrange payment and delivery.